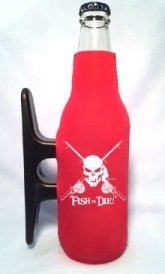 Black "FISH or DIE!" 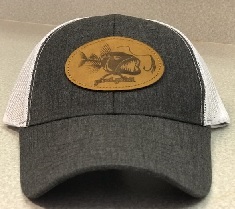 Fishing Cap with white trim, embroidered FISH or DIE! graphic on front - Comfortable, 100% cotton washed twill, relaxed fit - Get Reel…Get Fish! embroidery on rear velcro closure. 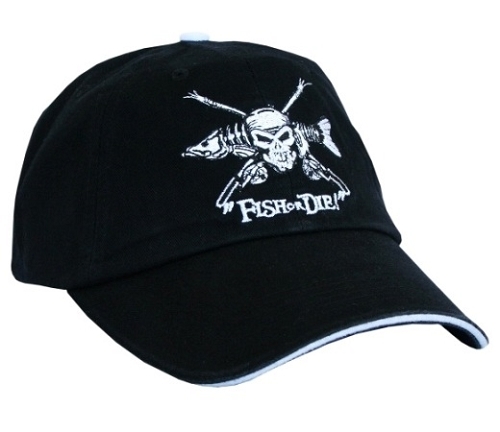 Let them know you what you're all about if you're bold enough to wear this KILLER fishing Hat!